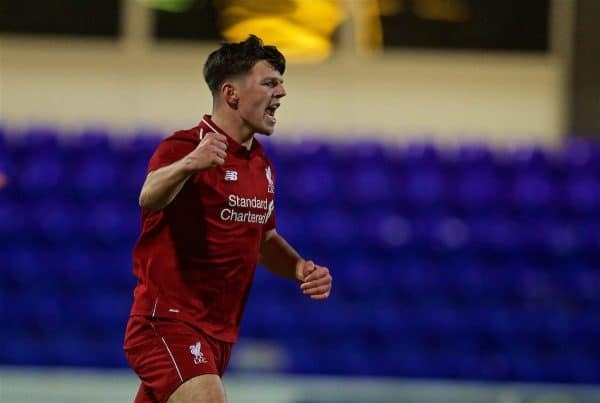 Liverpool’s U18s progressed to the quarter-finals of the FA Youth Cup on Wednesday, beating Wigan Athletic U18s 2-0 thanks to the latest Paul Glatzel and Bobby Duncan masterclass. The young Reds cruised past Accrington Stanley in the fourth round, with captain Glatzel firing home a hat-trick in a 4-0 win. It was Wigan who stood between Liverpool and a place in the last eight, as Barry Lewtas made five changes to the side that drew 1-1 with Man United on Saturday. Vitezslav Jaros replaced Ben Williams in goal, while Rhys Williams, Yasser Larouci, Abdi Sharif and Duncan coming in for Remi Savage, Niall Brookwell, Elijah Dixon-Bonner and Felix O’Rourke. It meant the devilish strike pairing of Glatzel and Duncan partnered one another, looking to add to their combined total of 41 goals this season. Liverpool were in front in just the fifth minute when in-form Glatzel fired an unstoppable left-footed strike into the roof of the net. 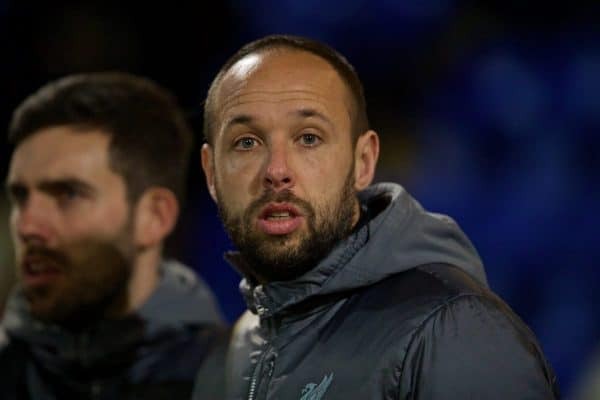 Divin Baningime and Will McGuffie both came close to equalising for Wigan, as the Youth Alliance League side made a good response at the Swansway Stadium. Duncan made it 2-0 with only 12 minutes on the clock, though, with the striker refusing to be outdone by his partner in crime Glatzel, finishing expertly via the post. Forty-three goals and counting for the deadly duo. Wigan did their best to find a way back into the game, but Liverpool’s defence stood strong and Jaros twice made important saves. The goalkeeper did flap at one cross, however, but got away with it. Jack Walls could have gone down and won a penalty, but he stayed on his feet and couldn’t quite finish from a difficult angle. The Latics were unlucky not to get a goal back when Charlie Jolley scored but was harshly adjudged to have fouled Morgan Boyes. Williams saw an effort cleared off the line and both Duncan and Glatzel almost pounced within seconds of each other, as Lewtas’ side went in 2-0 up at the interval. Jaros was having an increasingly nervy evening in the early stages of the second half, twice getting away with unconvincing decision-making. Jolley curled an effort just over the crossbar after an impressive jinking run, highlighting Wigan’s continued threat. Liverpool were fortunate to be leading by two goals by the time the hour mark arrived, although the visitors did seem to run out of steam. Jolley missed a good chance with a header but the match fizzled out in the final 15 minutes, which was only to the Reds’ benefit. Substitute Dixon-Bonner, Duncan and Larouci all came close to putting the icing on the cake, but it was an impressive victory nonetheless, despite the Reds not always being at their best. 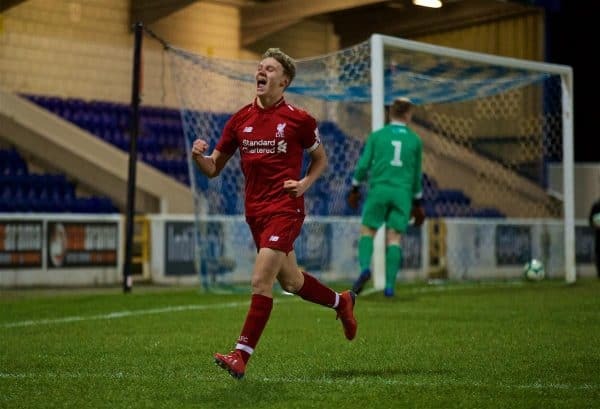 The quarter-finals now await for Liverpool, as their hopes of ending a 12-year wait for FA Youth Cup glory were enhanced in Chester. 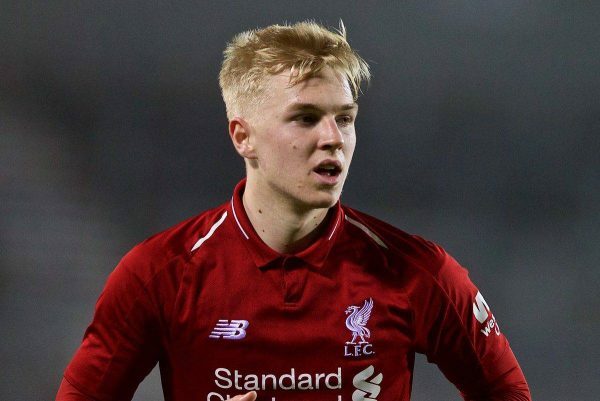 Liverpool U18s: Jaros, Walls, R.Williams, Boyes, Larouci, Clarkson (Bearne 86′), Sharif, Cain, Longstaff (Dixon-Bonner 79′), Glatzel, Duncan. Subs not used: Kelly, Savage, O’Rourke.